Communities are built on relationships and relationships are built on trust. Every positive experience builds up the ‘trust’ account. — Selase Dugbaza, Director, Table360. Food safety is very important when listing food for sale on Table360. People will only buy listed meals if they trust the food is safe to eat. It’s in the interest of all cooks to follow safe food practices when they buy, store and cook their meals. Below are guidelines all cooks on Table360 are required to follow when making food for sale on Table360. Only cooks that agree to follow our safe food practices can list food on Table360. Practising proper cleaning and hygiene can significantly minimise the risk of illness from the spread of food poisoning bugs. When in doubt, toss it out. Most food-poisoning bacteria and their toxins have no taste or smell. The smell of putrefaction is usually due to relatively harmless bacteria called pseudomonas. So it might not be obvious that food's contaminated. Don't make food for others if you're ill Some food poisoning bugs carried by people who are unwell with something like diarrhoea can be passed on through food they prepare. wash hands thoroughly in soapy water and dry before preparing any food follow the key food safety tips Heat all food to steaming hot, at least 60°C, before serving. Undercooking meat, poultry and other foods can be very dangerous. Raw meat and poultry can contain harmful bacteria, including Salmonella, Listeria, Campylobacter and E. coli that can cause food poisoning. Fortunately, these harmful microorganisms can be destroyed by cooking food to the correct temperature. Cooking meat and poultry Different meats require different cooking temperatures to destroy harmful bacteria. For example, a steak need only be seared on the outside and can be rare inside, while minced meat must be carefully cooked to destroy bacteria. That’s because minced meat has far greater surface area than steak and the inside has been exposed to the atmosphere, and is therefore at greater risk of bacterial contamination. One way is to simply cook minced meat, sausages and poultry right through to the centre. No pink should be visible and juices should run clear. Using this method should ensure your meat and poultry is free from harmful bacteria, although what constitutes "pink" and "clear running juices" might differ from person to person, and colour is not always a reliable indicator. It’s a good idea to invest in a food thermometer and use it. A food thermometer helps you make sure all potentially harmful bacteria have been destroyed through proper cooking. A thermometer shows you the exact temperature inside the food so you can be sure it’s cooked all the way through. They are not expensive. Good quality and accurate thermometers cost around $15 and are available from most homeware stores. A good thermometer will help you avoid the temperature danger zone. Bacteria thrive at temperatures between 5°C and 60°C. In ideal conditions, their numbers can multiply and reach dangerous levels in just a few hours. So, store cold food below 5°C and hot food above 60°C. See our fridge temperature guide for more details on safe food refrigeration. Simply insert the probe portion of the thermometer into the cooked/cooking meat and note the temperature on the dial. Different foods require different cooking temperatures to destroy bacteria, which is why a thermometer is such a handy addition to the kitchen. It is important you don't put the thermometer into the oven with cooking meat unless the manufacturer states this is acceptable. Sous vide is a cooking method where food is cooked in sealed pouches or air tight plastic bags at exact - sometimes low - temperatures. Cooking via sous vide is often done in a water bath to control the temperature. The low cooking temperatures are sometimes maintained for a long time. The name sous vide is French, meaning ‘under vacuum’. The sous vide method is now used for many retail foods including ready meals for sale, some catered foods, and some items at restaurants. Home cooks might also be trying the method following its use by high profile chefs and cooking TV programs such as ‘MasterChef’ and ‘My Kitchen Rules’. Sous vide products are exposed to the same risks as other foods during preparation, cooking, cooling and reheating. food held in the temperature danger zone (5°C–60°C) for long periods could allow harmful bacteria to grow food stored in the fridge for long periods could be a risk for food poisoning bacteria able to grow at low temperatures such as listeria food cooked at low temperatures for short periods could be undercooked or raw and food poisoning bacteria and parasites are not killed. People using sous vide must know how to manage the food safety risks. do not compound multiple risks, for example, if meat has been mechanically tenderised do not cook large portions for a long time at low temperatures. Home cooks new to sous vide must be aware of the food safety risks. Avoid experimental use of the sous vide method. Today’s leading chefs in sous vide cooking produce quality food while maintaining food safety. Feasts and parties are great occasions to catch up with family and friends, but there’s one unwelcome guest you don’t want stopping by - food poisoning. Entertaining and cooking for more people than normal can increase the risk from food poisoning. The average home kitchen isn’t designed for large volume cooking, so good food safety practices can be more challenging. Following some simple food safety tips can dramatically reduce the risk of foodborne illness at family feasts. keep cold foods, such as salads, in the fridge until ready to serve. reheat leftovers to at least 75oC, until they're steaming hot. keep refrigerated leftovers for no more then 3 days. We'd hate to think Australia's big (or little) supermarkets aren't always practicing due diligence when it comes to food safety, but an ounce of prevention is definitely worth a pound of cure when you're filling up your trolley. Keep an eye out in store and choose product that looks fresh. But know what to expect - some products such as mince meat can naturally experience colour changes during its shelf life. Check labels for allergy advice and for date marking. Did you know there’s a difference between ‘best before’ and ‘use-by’? Frozen chickens that are slightly soft to touch have already begun to thaw. Look for another or go to another store. And frozen chickens which look 'dented' may have been thawed and refrozen. Frozen vegetables, such as peas, which are frozen into a solid mass have probably been semi-thawed and refrozen – don't buy them. Spinach is an exception to this rule. Frozen food cartons that are wet, damp or sag in your hand have also probably begun thawing – don't buy them. If you find frozen or chilled foods left standing unattended in the aisle, go to another store. Don't buy frozen foods if they're stacked above the 'load line' in horizontal freezers (usually a blue or black line with the words 'load limit' written above it) — they may be at too high a temperature. Cans that look swollen or dairy products, like yoghurt, with the foil cover bulging may be going off. Don't buy leaking cartons, cans, bottles or other containers. Don't buy products with broken or imperfect seals or badly dented cans. If a vacuum-packed product isn't tightly packed, and the packet is loose around the product, don't buy it. Check for mould on foods such as cheese and crumpets — don't buy them if you find it. Check use-by dates and dates of packing, particularly on meat and dairy products. Shop last for chilled and frozen food. Keep them in an insulated cooler or wrapped in several layers of paper until you get home. Make sure meat products are packed separately from other groceries. Take these kinds of groceries straight home. If you find things wrong in your local store report it to the store manager. If they don't take action, shop elsewhere next time and let your local authority know. Food Standards Australia New Zealand (FSANZ) has contact details for your local food enforcement agency. People generally think the bright red colour of minced meat to be a sign of ‘freshness’ and are concerned when they find the meat is a brown-grey colour under the red surface. It's imortant to realise that Fresh minced meat can go through a number of colour changes during its shelf life. This occurs naturally, and a brown colour just under the surface does not mean that the meat is old, stale or unsafe to eat. All meat naturally contains a pigment called myoglobin, which is the purple colour in freshly cut meat. The colour of minced meat comes from two types of myoglobin – oxymyoglobin and metmyoglobin. When myoglobin comes in contact with oxygen, it forms oxymyoglobin, which has the bright, red colour of beef. After several hours or days of exposure, the oxymoyoglobin can convert to metmyoglobin, which has a brown-grey colour. When the meat is exposed to air during the mincing process, oxymyoglobin is formed, with its bright red colour. Most fresh meat sold in supermarkets is packaged in a clear film that allows oxygen to pass through it. As a result, there is plenty of oxygen available to maintain the bright red colour on the surface of the meat. However, beneath the surface and on the bottom of the meat, where there is less exposure to oxygen, the colour is much less red and may be brown-grey. Minced meat is more likely to change colour than other whole cuts of meat because of its larger surface area. When brown-grey coloured meat is allowed to come in contact with oxygen, it will usually ‘bloom’ to the bright red colour. The colour change in mince does not mean that the meat is old or stale. The minced meat remains safe to eat as long as it has been correctly refrigerated and consumed by the use-by date on the package. However, because of the large surface area of mince, it tends to have a shorter shelf life than other meat. If a package of minced meat or other meat is a brown-grey colour on the surface and all the way through, then it may be spoiled. Spoiled meat will have off an obvious ‘sour’ or ‘off’ smell and feel tacky to the touch. Don't take any chances with spoiled meat. If in doubt, throw it out. When shopping, select and buy meat last to ensure it stays cold as long as possible. Choose packages that are cold, tightly wrapped and have no tears or punctures. Make sure the package does not contain excessive amounts of liquid. Liquid may indicate it has not been kept cold enough or has been stored for too long. The same type of colour change occurs when mince meat is cooked. It changes colour from red to brown. If the meat is already brown before cooking, it may be difficult to tell when it is cooked as it will not go through this colour change during cooking. Minced meat must be cooked to a minimum of 71oC all the way through and the temperature at the centre should be checked with a thermometer. 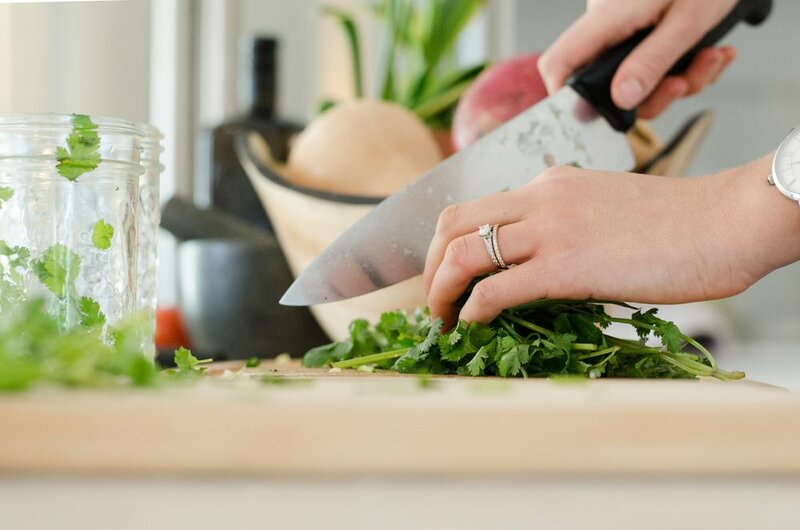 Home cooked food is considered generally safer and healther that food purchased in restaurants and cafes, when basic food safety practices are followed. flu-like symptoms potentially caused by eating bad or contaminated food from a domestic environment, including your own home and those of your friends and neighbours? If your answer is the same as most people we surveyed, you might be wondering what makes home cooked food at either your home or those of your friends and neighbours safer? Waste of ingredients is less of a financial concern given the smaller scale of cooking, so there is less pressure to risk health for financial concerns. Eating a meal purchase through Table360, is no different to being invited to eat a meal at the home of a relative, friend or neighbour. If you're not overly concerned accepting an invitation to dine with a neighbour, you should not be overly concerned purchasing a meal through Table360. Table360 is very committed to ensuring that all cooks prepare their meals using safe food practices. Before listing a meal with Table360, all cooks are required to study the safe food practices and certify that their meals were prepared using the nationally recognised safe food practices. The declarations made by cooks are contractually binding. False statements are prohibited and can have very serious legal consequences.